I would like to cordially invite you to my two current exhibitions. Both of these were made possible by the lovely folks at the Meadowlark Nature Festival asking me to be their featured artist for 2015. Part of that fabulous deal is also getting an exhibition at the Penticton Art Gallery. So awesome! June 3rd. 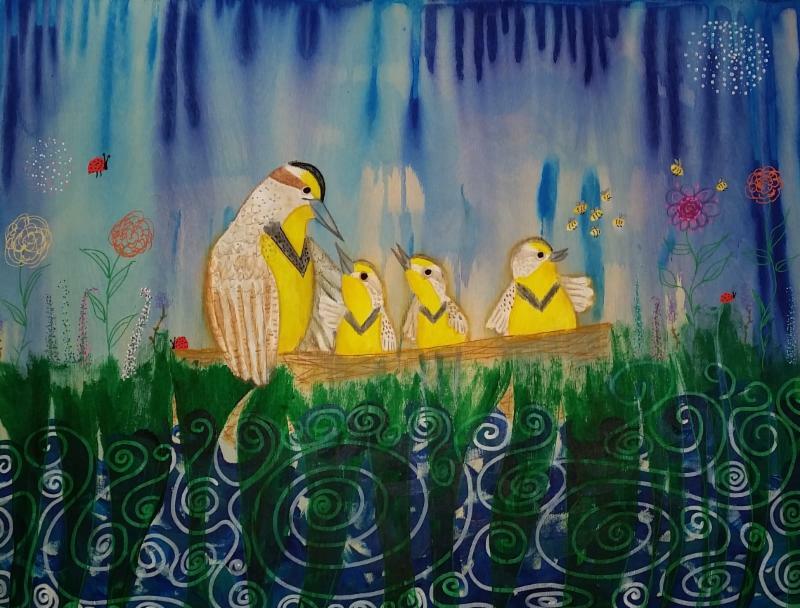 Located at 102 - 449 Main St, Penticton you can view all of my meadowlark paintings including the 2015 Meadowlark Nature Festival painting "Meadowlarking" (prints available). 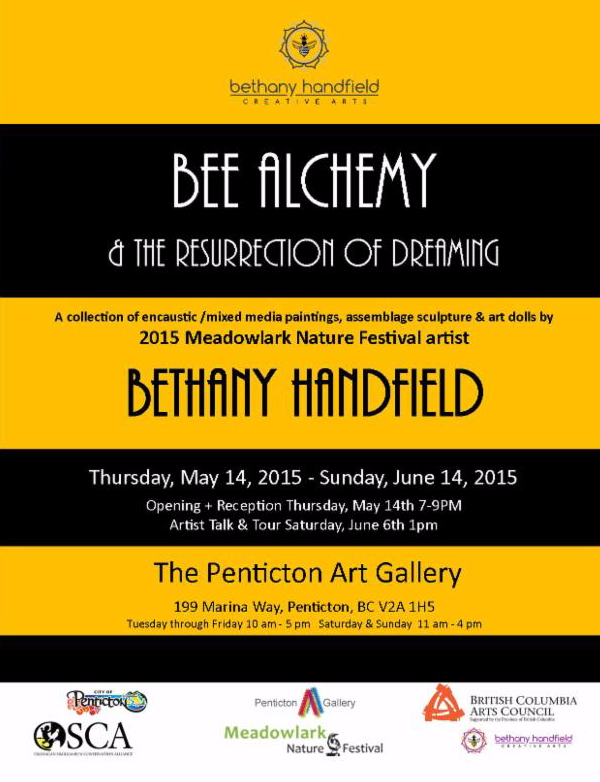 Bee Alchemy & the Resurrection of Dreaming opens on next Thursday, May 14th with a reception from 7-9pm at the Penticton Art Gallery (199 Marina Way, Penticton). 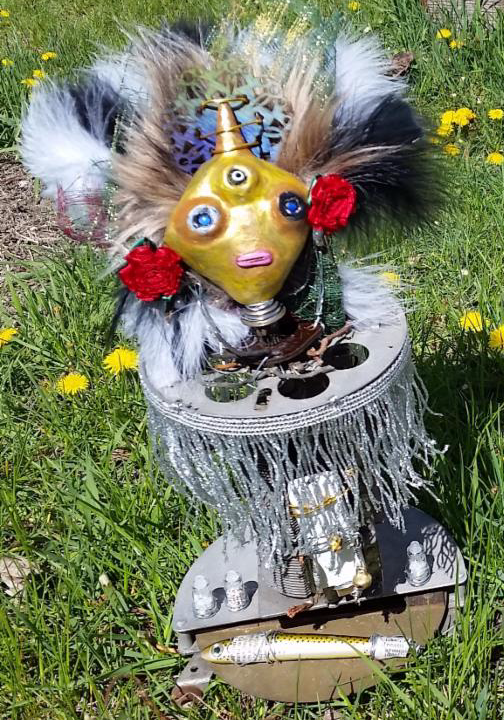 This will be a selection of encaustic and mixed media paintings from my previous Bee Dreaming and Things Unseen series plus brand new assemblage sculptures and art dolls. I am so excited to have all of these works together for the very first time! There will be an artist talk & tour on June 6th at 1pm and the exhibition runs until Sunday, June 14th. If you are unable to make the show or not local to the area, I will be sure to take lots of pictures and hopefully some video for my website, Facebook & Instagram. You can access all of those through the icons at the top of the announcement. Thank you so much for allowing me to share this news with you.